Sometimes it’s hard to use something that’s brand new. For me, removing that transparent protective sticker on a new laptop is the hardest thing in the world; I know it will never be as perfect and scratch-free after I remove the sticker. It seems like making the first cut with a new knife is hard for some people, too, for similar reasons. 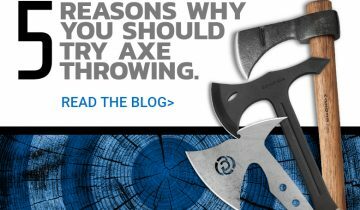 However, the world of knives has it pretty darn good, thanks to sharpeners—a good sharpening job is the next best thing to having a brand new knife. 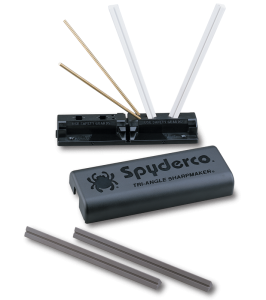 The Work Sharp sharpening system is great for quick and easy sharpening. 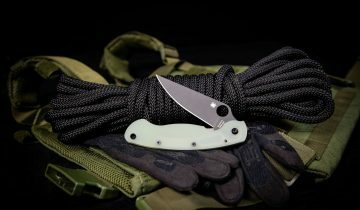 It is especially good for sharpening bushcrafting knives and fixed blades, and it comes with a 40 degree and 50 degree guide. The system also comes with an instructional DVD and a user’s guide to help you out if you don’t know much about sharpening. 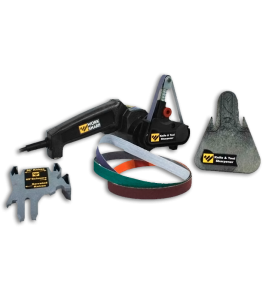 You can also purchase additional replacement belt kits separately through Blade HQ. This system uses a ceramic stones, and it has settings that allow sharpening at 30 and 40 degrees for knives, and 12.5 degrees for scissors. This is probably the best all-around sharpener, and the easiest to learn how to use. This sharpening system comes with an instructional DVD that features Sal Glesser, and it is extremely helpful—anyone can learn how to use this system and once you do, you can learn to use just about any sharpening system out there. This might be because you learn important fundamentals about sharpening from watching the DVD and using the Sharpmaker. You can also sharpen serrations with this system (just use the corners of the stones to sharpen them) in addition to files, scissors, chisels, and just about anything else you can think of that has an edge. From what I’ve heard from others, this system is also probably the best of those listed for sharpening tanto blades. Another perk of the Sharpmaker is that it’s not too big to throw in a backpack, and it really doesn’t take up much of your time to use. 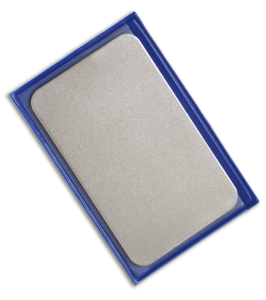 These cards are really small and compact (3.25” x 2” x .05”), so these are great options for anyone who wants a sharpening system while out in the field. While this isn’t the fastest sharpening system, it is perfect for a chill night around a campfire. These cards are also great for smaller re-profiling jobs (like evening out chips in your blade). These sharpeners are all great options. 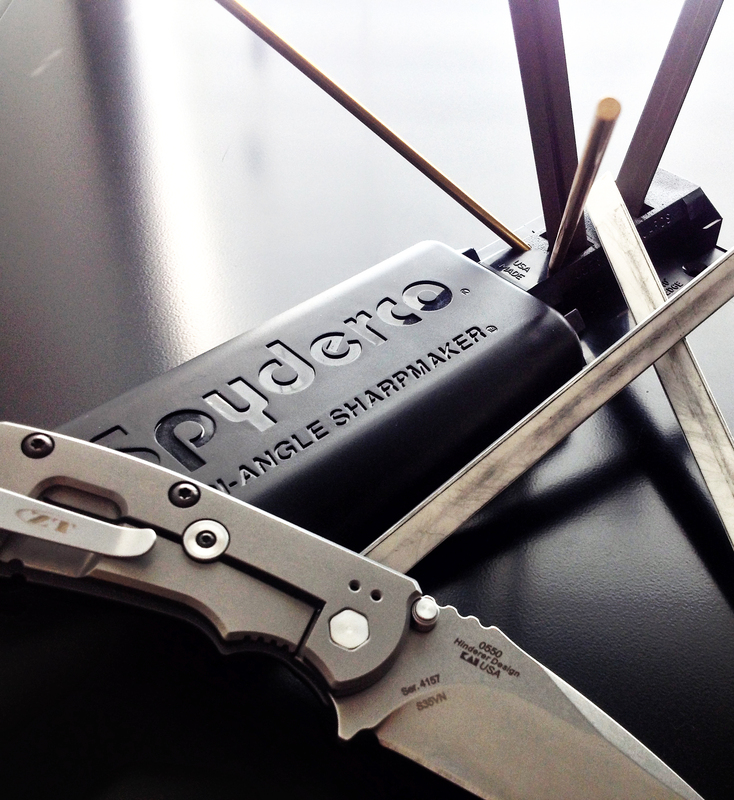 Check them out at Blade HQ, and give your knife some sharpening love! 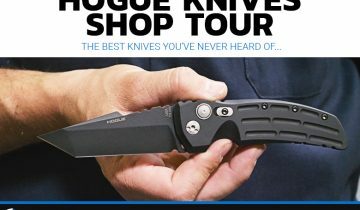 To see more about different sharpening systems and sharpening different knife types, check out the Blade HQ Knife Maintenance resource. 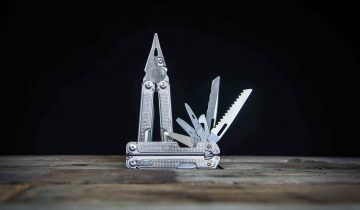 I can attest for the Spyderco Sharpmaker, it’s everything that was stated here in the blog post. I would only add one thing, get the Diamond rods and the Ultra Fine rods to go along with the included Medium grit and Fine rods. It will add a ton of versatility enabling you to get that hair popping edge using the Ultra Fine and to reprofile a very dull edge and get it back into shape without having to spend hours of sharpening. Excellent suggestions! Thanks for stopping by!